NOTE: If you are currently using the Pressbooks Custom CSS theme, you can continue to do so — there is no need to switch to the Custom Styles option on your existing books. However, do note that if you switch away from the Pressbooks Custom CSS theme in future, you will not be able to return to it, as it has been retired in favor of the new Custom Styles feature. If you have any questions about this transition, please contact support@pressbooks.com. 1. What are Custom Styles? Note that when using your browser’s back arrow or backspace function while navigating between the stylesheets, you may be switching between different formats’ stylesheets without the change being reflected in the drop-down menu. You can tell which stylesheet you are in by looking at the title on the page. We recommend using the dropdown menu while navigating between the style sheets. If you are unable to navigate back to a style sheet, simply click on Appearance > Custom Styles on the left sidebar menu of your book’s dashboard to reload the Custom Styles page. Please note that you will not be prompted if you leave the styles page while there are unsaved changes, so always make sure to save often. Pressbooks’ custom styles editor uses CodeMirror keyboard commands. You can use the following keyboard commands on any of the three style sheets for your book. 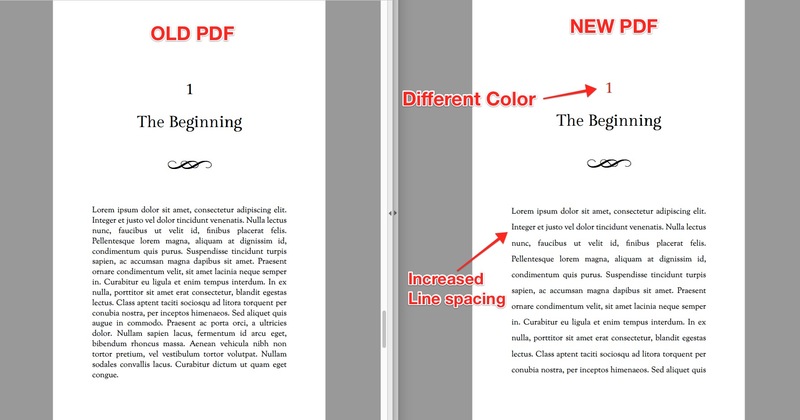 If your book is currently on the Pressbooks Custom CSS theme, you must save your custom CSS stylesheets before you use the cover generator tool. When you switch to a different theme to generate a cover, you will not be able to access the Pressbooks Custom CSS theme again. 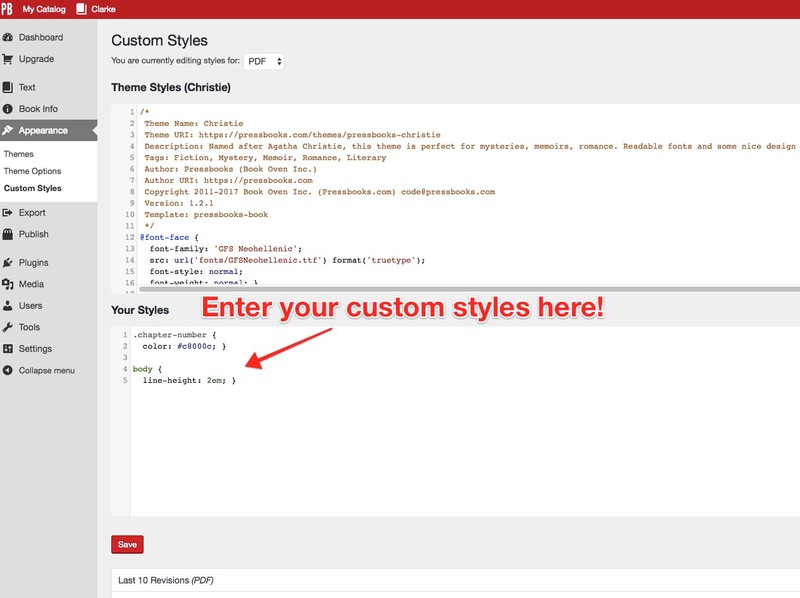 However, you can still add your customization in the Custom Styles menu using the instructions above. 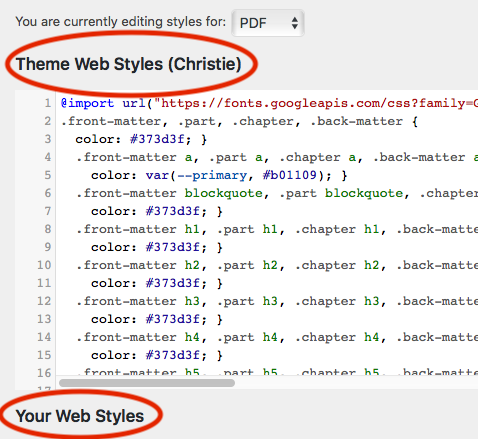 Use the saved version of the CSS to see what changes you had made to your book, and enter them in the “Your Styles” section. For more information on the cover generator, check out the Book Covers chapter.